Stress nowadays is somewhat a part of everyone’s life. It is an unhealthy thing for your body since it can trigger anxiety disorders and panic attacks. When you are stressed out, it is more difficult for you to have a good sleep, which makes you irritable and groggy. Moreover, stress doesn’t only affect your general wellbeing as it can also distress your oral health. Researchers have discovered a significant connection between stress and oral health. Stress affects your mouth, teeth, and gums. If you are currently suffering from a high level of chronic stress, pay serious attention to your oral health so as to prevent long-term health issues. How Stress and Oral Health Associated? 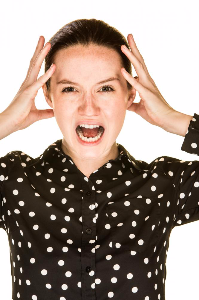 The stress hormone cortisol is highly elevated when you are experiencing long-term stress. As a result, your immune system will start to weaken. Once you have a weak immune system, conditions are ready for harmful oral bacteria from plaque to attack your gums. An increasing number of studies are exposing a strong relationship between stress and gum disease. One of the most serious effects of stress is your disorganized oral care program. When this happens, it can possibly lead you to various oral health problems. People who undergo stress are somewhat neglecting their responsibility to clean their mouth and teeth daily and might stop brushing or flossing as often as needed. Additionally, stress can also initiate numerous detrimental behaviours like poor diet, smoking, and alcohol abuse. A person under stress tends to eat more sugary and starchy foods that can lead to cavities and tooth decay. On a brighter note, stress is manageable. You can apply some techniques to reduce stress. Even when you are stressed, always keep in mind to practice good oral hygiene and avoid smoking or drinking just to be relieved. Have a healthy, balanced diet, do some workouts and get plenty of rest. If you have some problems with your stress management and with the condition of your oral wellbeing, consult your dentist as soon as possible. Stress and oral health shouldn’t go hand in hand. If you are worried about the status of your mouth and teeth due to stress, it is time to seek professional help from your trusted dentist in Bondi. Your oral care partners here at Bondi Dental are comprised of well-rounded and dedicated dental team. We can offer suggestions and treatments for a better dental care. Our top-rate and comprehensive dental treatments can make you feel good and healthy as we assure exceptional results for your oral health at the end of the day.